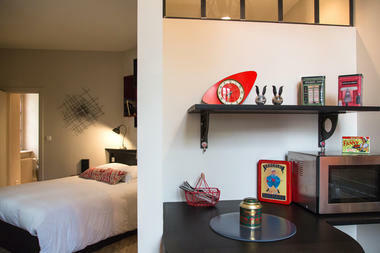 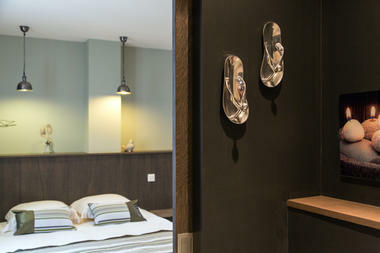 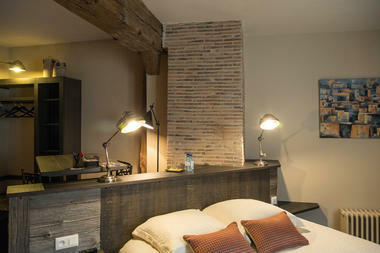 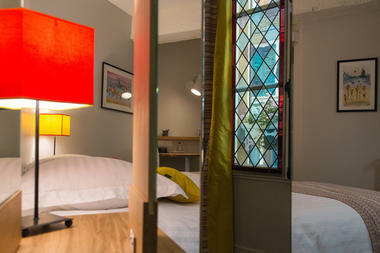 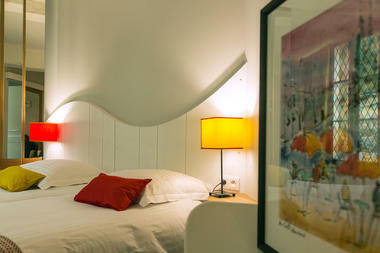 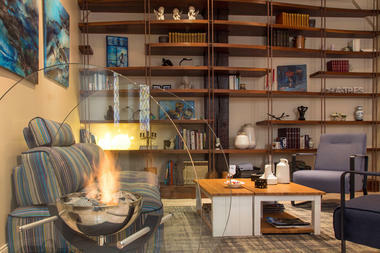 Four separate rooms in an urban chic style, furnished according to the distortions of the walls of this historic house. 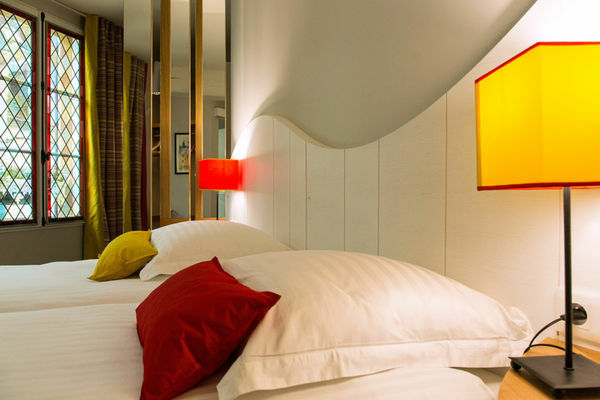 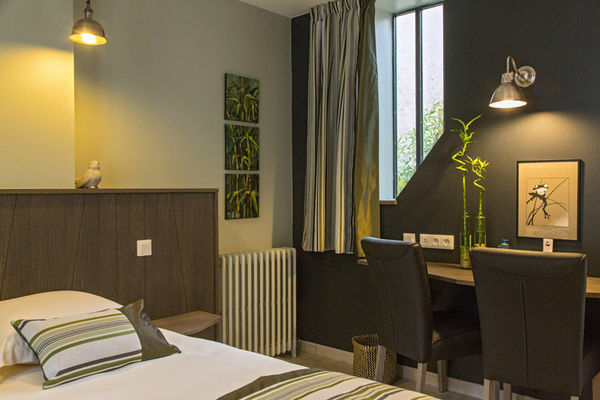 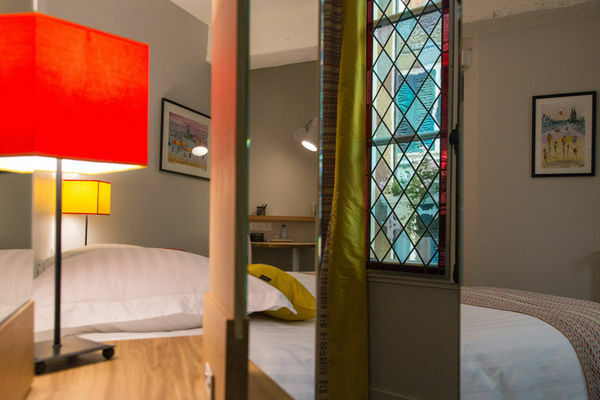 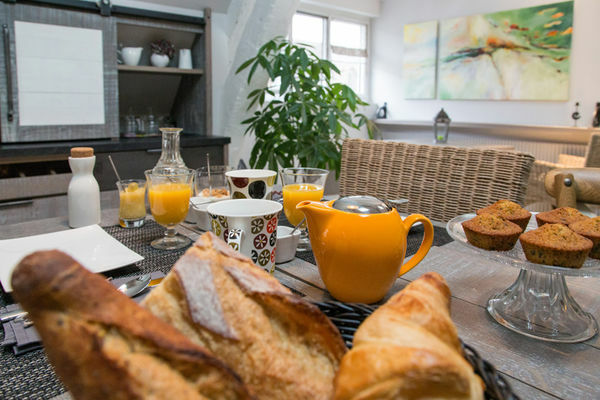 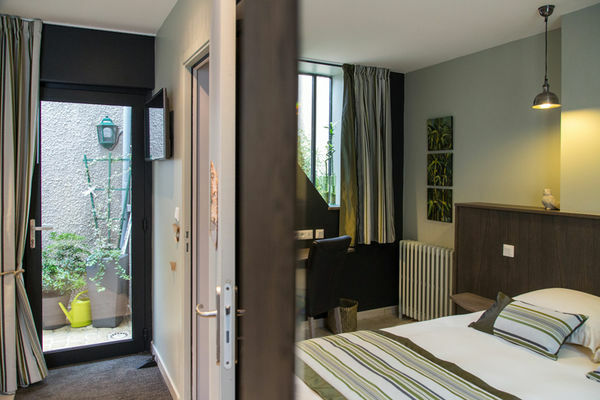 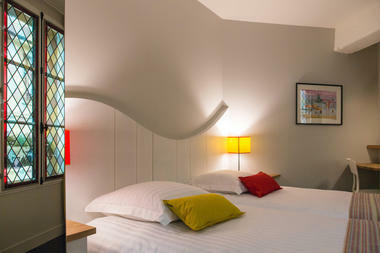 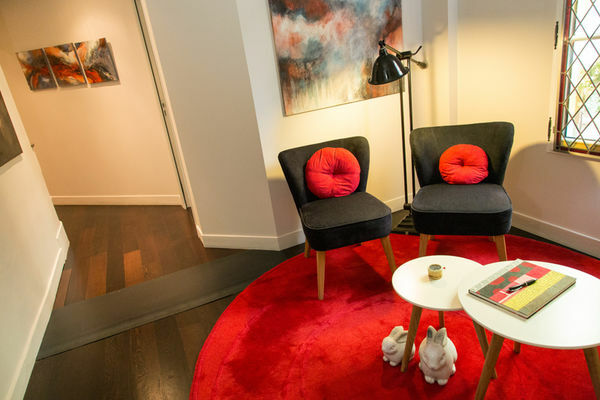 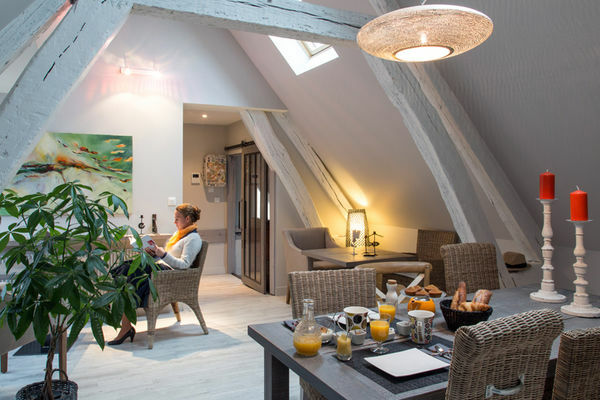 Situated in the heart of the lively city of Chartres. 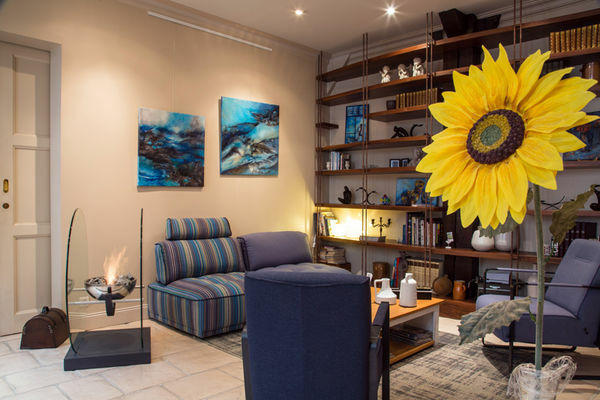 The house has been entirely renovated with taste and undeniable charm: lounge paved with BerchŠres stone (the stone used to build the cathedral), stained glass windows and perfect comfort with a refined atmosphere while also being simple and unfussy. 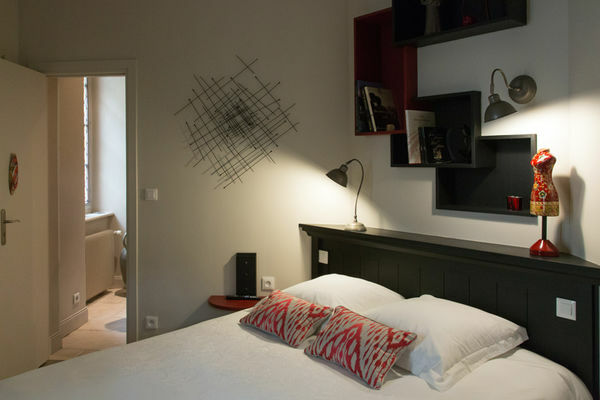 An ideal place to stay for a weekend as a couple in Chartres! 8 minutes walking distance from the station. 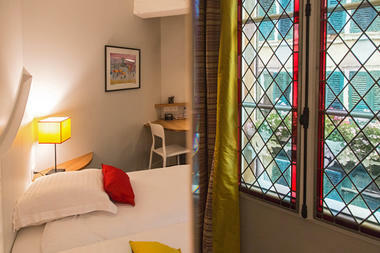 Public carpark. 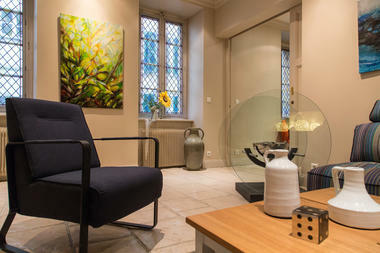 * Four separate rooms in an urban chic style, furnished according to the distortions of the walls of this historic house. Situated in the heart of the lively city of Chartres.